bet you I can do it in sub two? My week turned into a warm up for a half marathon. It felt like a full marathon. I don’t know what either feel like to date, but if I did, I’m sure it would be similar. The only symbol that stayed tranquil was LULU! I checked in between takes, interviews, hair and makeup. It’s not easy watching stock and recording a reel. I spent ninety nine percent of the airtime focused on health and wellness. I stole the remaining one percent channeling my father. He never afforded himself more than two takes. I had a blast making this. If you were part of the production, I thank you for your participation and or hospitality in advance. We can have a viewing party soon! 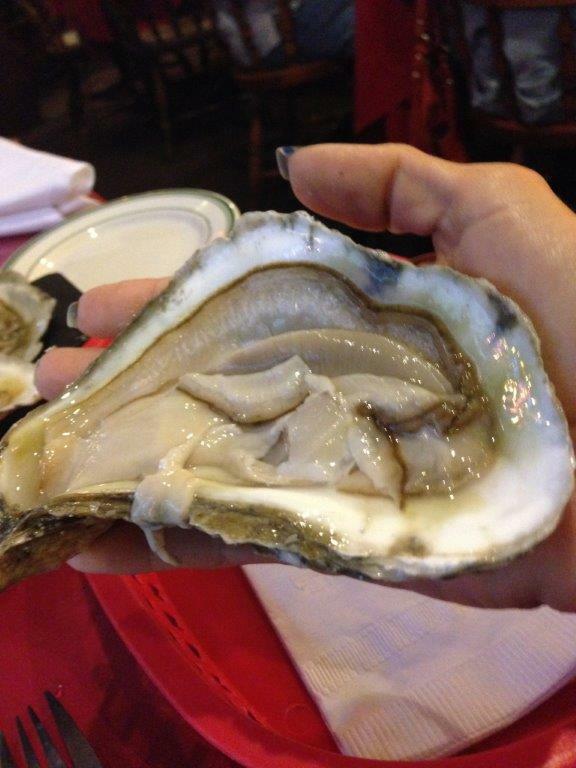 Did you get a glimpse of the oysters on steroids? I had to share because they were mammoth. Jugo Fresh opened for life again, but this time at Body & Soul. I met Chef Darren today, pretty funny. I love Jugo Fresh and I love… The cinnamon rolls too. My friend, Laura Posada, honored me with a meal and lots of laughter at Roaster’s n Toaster’s in Kendall. We were both served wonderful healthy food in giant portions. Thank you Danny for allowing us and the crew into your venue. Doctor Dribble had his way with me on film! He showed some mad skills while on camera live from Newton’s Method. I love it when you turn into a beast. Training the body as one muscle is impressive. Running marathons with the balls is equally impressive, did you donate to his most recent cause? Havana Nights on the 19th is around the corner, if you haven’t bought your tickets, call Mighty at 305.903.7160 she will arrange sneaking you in through the back. Last day for applications for the Gulliver Holiday Marketplace is today! But if you can’t get me the money in time, you can Instagram yourself singing your version of ROAR by Katy Perry and hashtag #sorrymagdaimlate @revete. The Ravens caught us in a weak moment. It’s alright, every dawg! FINS UP!! Benjamin Dash here we come. A team ready to raise money for SAMANTHA! I’m eating my Wheaties and doing Turkish get ups on Sundays. Beware.